Any word on when the next breeding season is going to be? I check the forums occasionally and haven't seen anything. Mostly because I've been chatting about it in the chatbox and on the CDF Telegram channel. We will be starting the new, mini breeding seasons after the new year. They will be done in small batches of 10 or so breeding at a time. This is to enable fast turnaround, and many breeding seasons throughout the year. 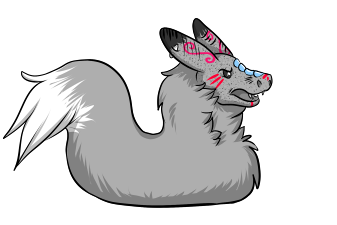 I will likely also do seasons specifically for larger wyrms. The very first season of the year will be for new Handlers who have not had a chance to breed their wyrms yet, to give them a chance to try the breeding aspect. The goal is a breeding season monthly in the quieter times of year, and every other month during busy con season. Sounds good! Will there still be farm/stable breedings? What can I do to prepare for this? I still have worms in the Registration Cue. Nytshaed wrote: What can I do to prepare for this? I still have worms in the Registration Cue. Plus, if they are in the queue, meaning you did YOUR part, they are available for breeding. Zia does some magic so i have images to work from and card info. I will caution, those who have pending issues on the registry list should take care of them NOW. If we still don't have a valid contact for you, or those images you stuck up on Instagram 6 months ago are broken links now, THOSE wyrms won't be considered valid. We do our absolute best, but I can't make babies for wyrms I don't have useable pics for, or bill someone the deposit without a valid email/PayPal address. So crazy question for the upcoming breeding season but i just saw this cool dragon fish and it like and angler but it lure is on its chin and not is head was wandering if its possible to do this? NoMora wrote: So crazy question for the upcoming breeding season but i just saw this cool dragon fish and it like and angler but it lure is on its chin and not is head was wandering if its possible to do this?